Ethiopian Airlines Canada is proud to support Bridge to Health Medical and Dental (BTH). Emma Forte Sczudlo, M.S. Program Coordinator shares what more about the organization. 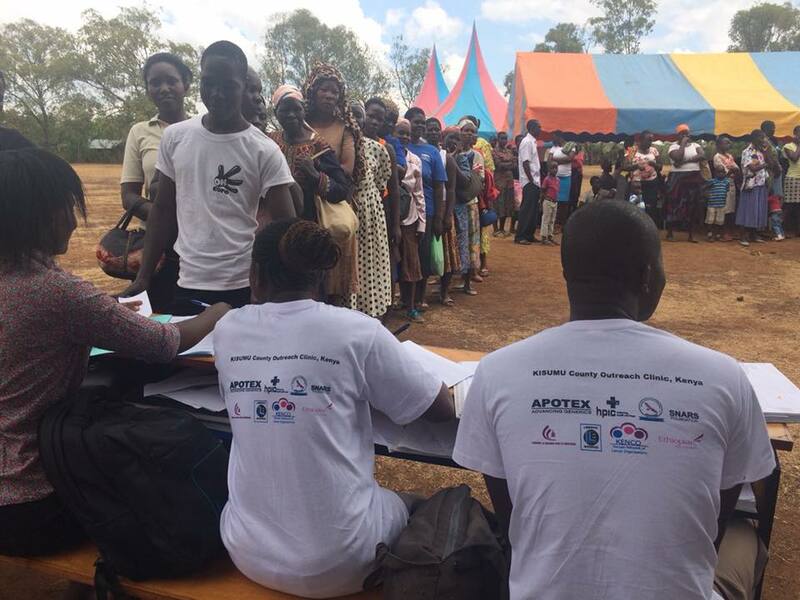 Over the past six years Bridge to Health Medical and Dental (BTH) has worked hand in hand with our partners to provide free, comprehensive healthcare to over 30,000 men, women, and children in rural Kabale, Uganda and Kisumu, Kenya. Our partnership with Ethiopian Airlines Canada has made this possible by helping us to get our teams of volunteer healthcare providers, along with our clinical supplies, to our program sites. A discount on group travel allows us to spend more on patient care, cutting-edge research, and education of patients and local healthcare providers. The extra baggage allowance provided by Ethiopian Airlines Canada allows us to check our signature hockey bags — full of medications, tools, and equipment –from Canada, avoiding the cost that would result from purchasing supplies in-country. Each morning of work their team packs our hockey bags into vans, and together with our partners in the Ugandan and Kenyan Government, we drive to an isolated community to set up an outreach clinic, usually in a primary or secondary school; the only buildings big enough to accommodate our mobile hospitals. Patients are registered in the order of their arrival, and also triaged to the most ill and children are brought ahead. They are then seen by our nurses at triage and funneled through our other stations as needed, which are set up in tents or classrooms: medical, dental, pharmacy, antenatal, eye station, lab, etc. 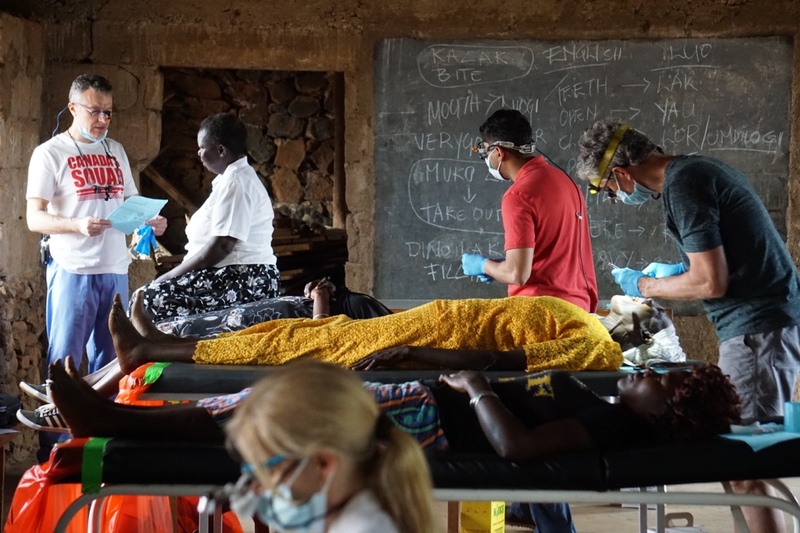 Our international volunteers work alongside local healthcare professionals. In addition to patient care, we offer hands-on training for local healthcare students, and public health education for patients – interventions that result in a long-term impact on the health of the communities in which we work. 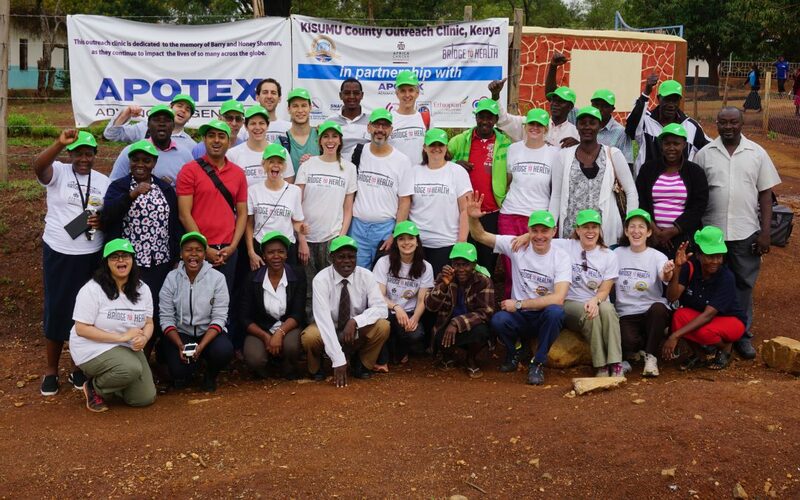 This will be our seventh brigade to Uganda, where we work in partnership with local non-profit organization Kigezi Healthcare Foundation (KIHEFO), and our second brigade to Kenya, where we’re partnered with Africa Cancer Foundation, a Kenyan non-profit organization, and the Kisumu County Government. Empowering our local partners is our priority. We help them to design programs they want, and we support their growth until they can continue these programs year-round in our absence. Read more about our unique approach to sustainable, cost-effective healthcare for under serviced populations by visiting our website, www.bridgetohealth.ca Medical and dental professionals interested in volunteering on a brigade can do so on our Volunteer page.